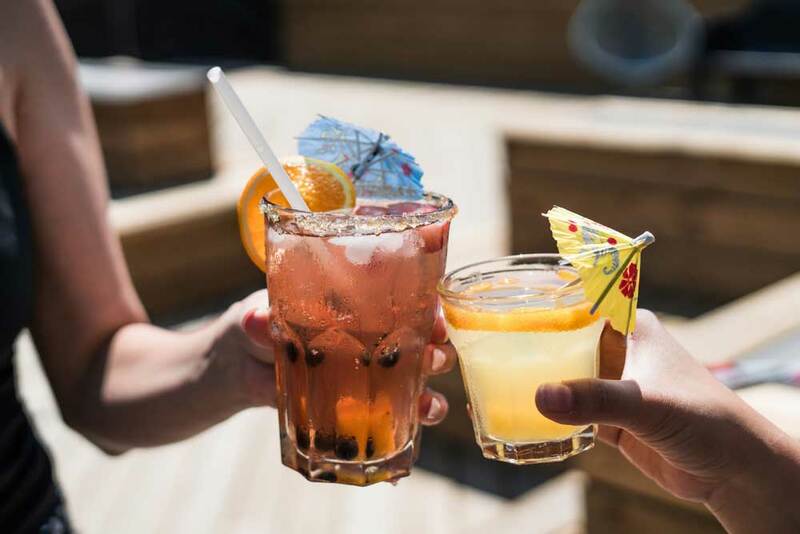 Summer is certainly on its way and as the nights get longer and the days warmer, it’s a perfect excuse to get your friends round and enjoy the weather together. Garden parties are a great way to bring people together, and with the right music, aesthetic as well as good food and drink, you can create a truly magical atmosphere that you and your guests will remember for years to come. Here we’ll give you some great hints and tips for creating the ideal garden party for this summer with as little stress and hassle as possible. With these few simple ideas and a plan in place you can make sure your guests remain comfortable, well fed and suitably merry! The most obvious first step to take is to consider where your garden party is going to be. Yes, it’s in the garden (! ), but where in the garden? Do you have a patio, a large lawn? Is there a conservatory and enough room for seating and tables? It’s always a good idea to create a kind of ‘dedicated’ space for the party, even if it’s boundaries are by no means enclosed. This way you can picture the setting more clearly and where things like furniture, lights, heating, etc. will go. If lots of guests are coming, make sure they have plenty of room to move and mingle, and if only a few are attending, try not to make them fell lost in a large open space far away from drinks and food. Additionally, make sure everything is accessible and visible, you don’t want that table of canapés you spent hours assembling being forgotten about! Once you’ve decided where you’re going to have your party and how big or small it will be, you can begin thinking about the type or party you’re going to have. Is it going to be a sit-down meal or a buffet-style cocktail party? A celebration or just an excuse to socialise and have fun? Whatever you decide for your party, you need to stick with the theme you choose. This means you can stay focussed on making that party special for everyone. Think about the kind of arrangement you want, whether a large central table for dining or smaller ones for drinks and nibbles. Try and stay committed to the visual theme of the party too. Whilst you don’t want the party to appear bland and boring, sometimes it’s best to stick to mantra less is more when selecting things like decorations and other visual elements. Whilst in theory you can have a party without food or drink, suffice to say, it would not make for a memorable experience. Sharing food and enjoying a cooling drink on a hot summer’s day is the perfect way to get conversation flowing and guests mingling. As with any other element of the party, getting the food and drink right is all about planning. Decide what you’re doing and a stick with it! If you are having a barbeque, make sure you test out recipes beforehand, so you know how long they take and whether they work. Have a dedicated barbeque ‘manager’ too. Whether this is yourself or someone else, this means the barbeque can be set up and managed without too many people getting in the way. Whatever you’re doing for food, pre-preparation will make the whole experience much easier and more enjoyable. Marinate meat in advance and prepare snacks and canapés well before the party. Just keep fresh stuff in the fridge until it needs to be served and it will be all ready to go when the guests arrive. Also keep in mind any dietary requirements for your guests and make something special for them as well; no one wants to make do with a bland salad! When it comes to drinks, it’s best to dedicate an obvious area for them, whether this is just a specific table, or a full bar set up. Offer a drink to guests when they arrive and keep any drinks that need to be cool in ice buckets or, if you have one, a portable fridge. Have plenty of glasses at the ready and a good selection of both alcoholic and soft drinks means no one gets left out and anyone can help themselves as they please. If you’re going to have cocktails, test them out first and try to keep your choices fresh and concise, you don’t want too many different bottles taking up all the space. 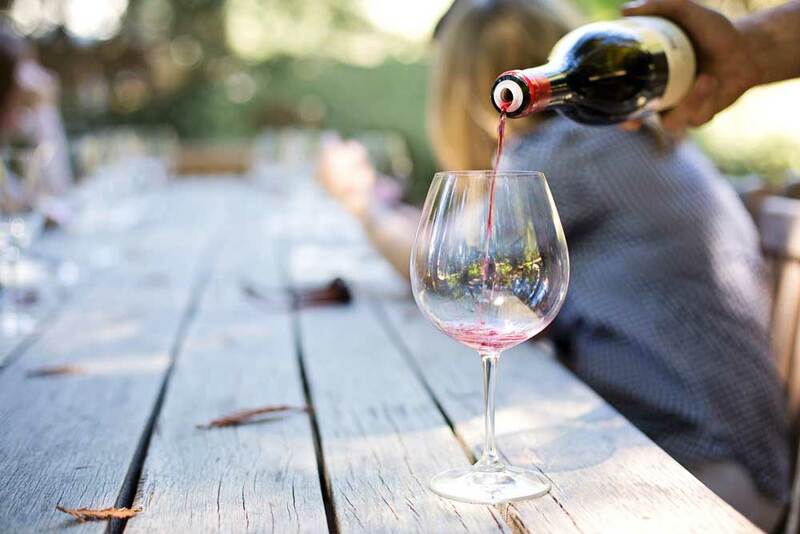 Also, if you’re worried about breakages on your patio, try using plastic alternatives for the glasses as there’s plenty of brilliant mock-Champaign flutes, wine and cocktail glasses out there to choose from. Creating an atmosphere and ensuring your guests are comfortable are both vital elements for making your party truly something to remember. Following the theme you have chosen, try and make your outdoor space somewhere exciting and interesting, whilst at the same time making it seem natural. Themed table cloths, crockery and napkins can all go along way towards giving the party an identity. Try not to go overboard in this respect but keep decorations both vibrant and natural. If a significant part of the party is going to be during the day, also think about shade for your guests. Parasols should be enough to keep your guests comfortable but, if you really want to go to town, you can invest in a gazebo if you want. Table centre pieces such as wild flowers in jars and/or candles can help bring atmosphere to their surroundings, and fairy lights amongst any foliage or nearby trees make the setting an incredibly magic place to be in the evening. Lanterns can also lend natural light to the party when the sun begins to go down and it’s always good to keep in mind some form of heating when it starts to get a bit chilly. 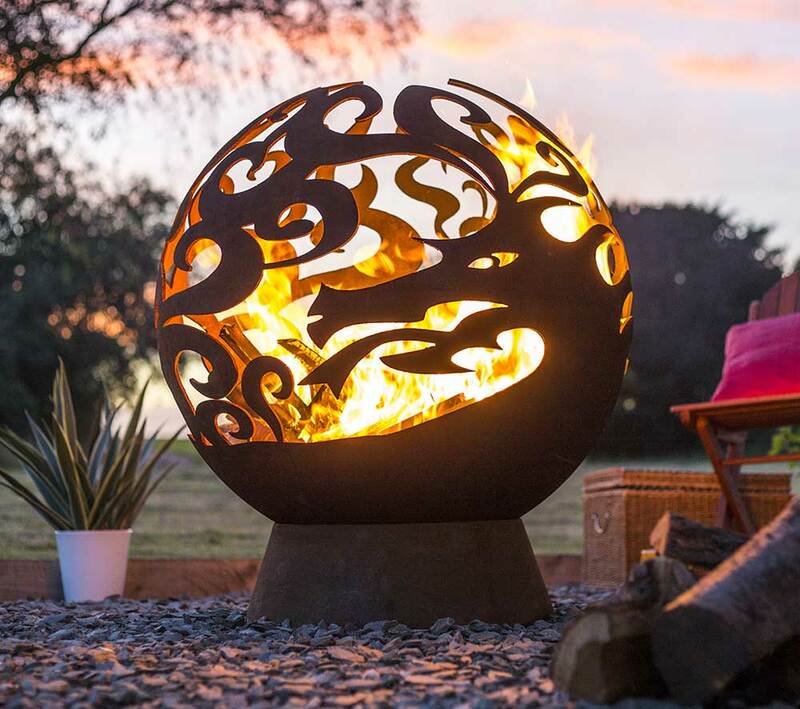 Firepits and outdoor heaters are a great way to keep your guests warm, and, with nearly a 50% increase in the number of people searching for garden heaters last month, they are certainly proving to be a popular garden feature this year. Another key element is music. Depending on the theme of the party, make a playlist in advance to match the mood and you may want to invest in some portable speakers which you can dot around the perimeter of the main party space. Remember though, don’t have the music too loud; people want to be able to hear each other! Once you have everything for your party sorted out beforehand, the most important thing to do is to enjoy yourself! Stress and tension will not only spoil the party for you, but can make your guests feel awkward too. Remember, it’s your party too and there’s no reason why you can’t be yourself and have fun. As long as you’ve done everything in advance, you can kick back, relax and enjoy the summer sunshine, safe in the knowledge you’ve created a garden party your friends and family will remember forever. Summer evenings can be a brilliant time to host outdoor parties and gettogethers. However, as the sun goes down, the chill can begin to bite and sometimes you want to use your patio space at other times of the year. Electric patio heaters are a brilliant way of providing warmth for outdoor spaces during these times, keeping the area comfortable and pleasant even as the night draws in. However, there are a quite a few options to choose from when selecting an electric patio heater and choosing the right one can ensure you make the most out the heat it produces and the cost of running one. A key point to keep in mind when choosing a patio heater is the space you want if for. Is your patio large or small? Is the space enclosed or open? Do you have tables and other surfaces on or around the patio? All these factors play an important role in your choice of a patio heater as they dictate the style, fitting and power of the heater needed. To begin with, in large open areas, with few surfaces, it is perhaps best to choose a standalone heater or ‘parasol’ heater. These free standing and tall patio heaters are great for either placing at the centre of your patio or using multiples of them around the perimeter of particularly large space. Using their height and reflective metal interiors, these patio heaters can spread their infrared energy across large areas in equal amounts. Smaller enclosed spaces can also benefit from these tall heaters; however it is more cost effective to invest in a smaller, less powerful patio heater. If you have surrounding buildings around the patio, wall mounted heaters, positioned high above the patio, make a brilliant alternative to parasol heaters. 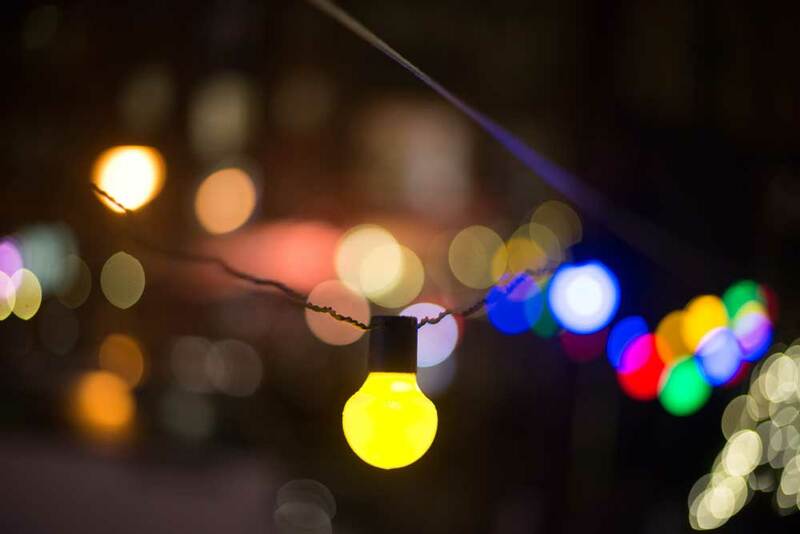 Similarly, if there are any overhead features going across your patio, you can install hanging heaters above the space, however always make sure these are well above head height. Finally, the need for adjustability needs to be considered. If you have a large patio space that is of asymmetrical design, you might want a patio heater which is easily adjustable and controlled to keep the entirety of the patio space warm. To prevent wasted energy and expensive running costs, always keep in mind the amount if heat you actually need for your patio space. Is the space large or small? Do you use it often or occasionally? How many people do you regularly have on your patio? Typically, if you are trying to provide heat for a lot of people over a wide space, then a higher wattage heater is likely to be required, usually between 2000W and 2970W. Conversely, in a smaller space with lots of people, a much smaller energy output is needed, preferably around 1500W. If you use your patio space for only a few individuals then a similar wattage, or an even lower one should suffice. Remember, electric patio heaters allow for instant infrared production and can be easily turned on and off which means they should always be switched off when not in use to save energy. This is particularly true if you only use a patio heater infrequently and it is a high wattage for either space or occupancy reasons. The IP (ingress proof) rating is also something that should be taken into account when assessing the need for a highly powered heater or a lower one. IP 24 should usually be enough for most patio spaces and occupants and the use of control systems on some heaters can greatly enhance the efficiency and power conservation of a patio heater whilst still keeping the area warm and comfortable. Chimineas, or ‘Chimeneas’, are a front-loading form of metal stove which originated in Spain. Characterised by their bulbous, often cast-iron body and vertical chimney, chimineas have become increasingly popular sources of heat for outdoor events and spaces over the past few years. Chimineas are incredibly good outdoor heaters and project their heat across quite a wide distance. These Spanish wood burners are also known for their durability and incredible heat retention allowing you to keep your garden or patio warm all night and still be able to relight its contents the next day. 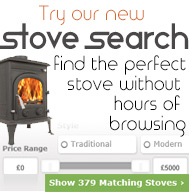 Yet how do you use one of these rustic wood burners to its maximum effect? Whilst maintaining a wood burning stove may seem quite daunting at first, chimineas are in fact incredibly easy to use and, once they’re burning, can retain their heat for over twelve hours. With this simple guide, you will be able to have your chiminea up and running with minimal fuss and with great results, providing warmth and comfort for any outdoor occasion. The best place to have your chiminea is in a permanent, outdoor location and on a flat surface such as a patio. Chimineas can be very heavy, therefore you will not want to have to move it very often and, if you do, they are susceptible to cracking if they are dropped. It is also good idea to place your chiminea in a location where it heats the most amount of space around it, however, do not put flammable objects or those likely to melt at high temperatures near to the chiminea for it will get very hot. Also give yourself one to two hours before you actually need to use your chimenea for it will take quite a while to reach maximum efficiency. Make sure the inner chamber is clear of any old ash or debris before lighting a fire and pour around four inches of sand or gravel inside the chiminea to help keep smoke from billowing out of it when it is lit. If your chiminea has a lid, make sure you take it off as this will prevent air getting to the fire making it harder to light, and, if it has a grate, fix this inside the chiminea so you can start lighting your fire on it. Once your chiminea is prepared for lighting, make sure you have plenty of fire wood nearby as well, to keep it burning once lit. When lighting your chiminea, place small bundles of newspaper or birch bark into the centre of the chamber and light these at multiple locations. Once these have caught light create a modest pyramid out of kindling around the fire to keep it burning or, if you want a more efficient material, you can use natural firelighters which are packed full of flammable resin to get your fire burning more quickly. Do not use chemical firelighters as these produce foul smelling chemicals and never put any type of flammable oil or gasoline in the fire as this could create an inferno which will not only ruin your chimenea but also potentially harm anyone nearby. Keep adding to the kindling, but do not smother the fire with wood. The chiminea will begin to smoke a bit at first but this will soon die down. After burning for about an hour, light a larger fire using logs or wood adding small amounts and small logs at first and building up to larger pieces of wood as the fire builds up its intensity. Allow the roaring fire to burn for another hour until you have white hot embers inside the chamber. At this point leave the chiminea to burn, poking the embers to allow air to flow around them and keep the heat at a maximum. From here on your chiminea will continue to burn and produce heat for over twelve hours providing you with a very comfortable heat at every angle throughout the day or night. When you are finished with the chiminea, just let its content burn down to ash and, when cool, clean it out for the next time you want to use it. Scorchio! Research shows that Friday 15 July is set to be the hottest day of the year, so get planning that BBQ party now! The weathermen have spoken: this summer is set to be our hottest for a hundred years. And yes, we know they sometimes get it wrong, but this time it might just be true… apparently a blistering ‘heat surge’ will be winging its way over from the continent to bring us heatwaves and scorching sunshine..
With National BBQ week upon us, the nation is starting to plan their summer parties and alfresco celebrations. But choosing the date to hold these is a risky business our unpredictable British summers. Therefore, outdoor heating specialists Glowing Embers has pinpointed what day of the year is statistically the hottest; after going back through 30 years of average temperatures, they’ve found it’s a sizzling 28C on the 15th of July, which this year falls on a Friday – perfect for holding a party on your decking, heading to the nearest rooftop bar, or preparing an almighty barbecue in your back garden, without worrying about having to get up for work the next morning. Sweet! Regionally, the date on which the hottest day of the year falls, and the actual mercury reading you’ll get, varies slightly around the UK. Those lucky Londoners in the South East will bask in 31oC, on their hottest day (17th July), while those in the East of the country come a close second, experiencing 29oC (on the 22nd of July). Northern Ireland-ers are positively shivering with in the 25oC heat on July 12th, in comparison! Glowing Embers also surveyed 1,000 men and women to find out how optimistic we Brits really are about the weather; and, perhaps unsurprisingly, 60.8% of us said we didn’t believe there was going to be good summer weather ahead. We’ve basically been let down far too many times; who amongst us hasn’t shivered their way through a clouded-over BBQ, which started off with blue skies but ended in rain (and tears)? And, strangely, it seems we’re actually content with not being like the continent; when asked if we wanted our summers to be hotter, over two thirds of us said ‘no’! Considering the number of people who come into the office after a sunny weekend with sunburn and heatstroke, it seems we just don’t know how to handle it. Those from the frozen north, however (well, Northern Ireland and Scotland), who see far less sun every year, were understandably a bit keener to have a hotter summer; nearly 50% of Scots, and 54.5% of Northern Irish, said they’d prefer it. View larger version (via Glowing-Embers.co.uk).